It is not abnormal in India, at the end of the financial year, several tax payers start looking for an option to save tax. This search starts usually at January end and goes on until March end. ( You can’t delay this any longer than that ). Some fortunate folks who earn enough income, get 1 Lakh 80C deduction limit met by their own EPF contribution itself. They don’t need to look any further. And also there are several unlucky tax payers who were taken for a ride by LIC agents. They ended up buying endowment plans which neither offer good insurance cover nor offer good investment returns, but their premium amount covers the 1 Lakh deduction limit. This article is written for them. This is the question they usually ask. PPF or ELSS ? Both of them are excellent investment option. Both of them offer E-E-E benefit. First E means, the original investment gets tax deduction benefit; second E means all the growth is tax exempted; third E means final withdrawal is tax exempted. PPF is secured indirectly by Govt of India. ELSS offer no principal security.It is subjected to market price risk. PPF offers guaranteed 8.5% ( it is guaranteed, but the interest rate might change from year to year. There was a time PPF was offering 12% /year. ) ELSS returns are subjected to performance of the underlying stocks. PPF has lockin period of 6 years and after which one is allowed to withdraw 50% of the money. ELSS has lockin period of 3 years and after which one is allowed to withdraw all 100% of the money. While PPF is fixed income asset, ELSS is equity asset. PPF return is fixed and barely allows you to get inflation adjusted return. But ELSS is the winner in the long term. It allows you to build wealth, unlike PPF which allows you to maintain wealth. As a proponent of asset allocation plans, I would recommend you to consider your total exposure in fixed income assets and growing assets (equity and real estate) and accordingly choose the right option to balance your portfolio. If you have higher exposure to fixed income asset, choose ELSS and if you have higher exposure to equity, choose PPF. ELSS Tax Benefit Ploy ! ELSS with its 3 year lock in period offer the shortest lock in period among all the 80C deductible investments. Some smart tax payers can use this loop hole to enjoy unlimited benefits from Indian IT laws by following this game plan. 1) Invest 1 Lakh per year for 3 years in ELSS ,continuously in 3 different funds. 2) 4th year, you withdraw the first year money of 1Lakh. And reinvest that again for the 4th year to get the 1 Lakh deduction. 3) 5th year, you withdraw the second year money of 1Lakh. And reinvest that again for the 5th year to get the 1 Lakh deduction. 4) 6th year, you withdraw the third year money of 1Lakh. And reinvest that again for the 6th year to get the 1 Lakh deduction. 5) Repeat the steps #2 to #4 again and again until death. With this strategy you create a pool of 3 lakhs and recycle that again and again. This strategy is not possible with PPF. Further with average return of the equity funds being higher, you also build wealth ( average ELSS fund annual returns are 13-15%). And you use only 3 Lakh for the recycling pool. 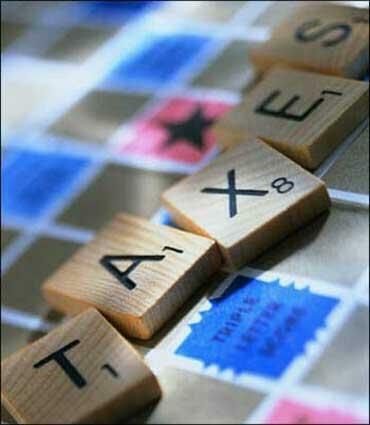 At 30% income tax rate, you get Rs.30,000 in tax benefit for Rs.1 Lakh contribution every year. Hence after 4th year, you get 10% guaranteed return from this pool from tax benefit alone. [ Rs.30,000 benefit from Rs.3,00,000 Pool money ] Equity returns are added bonus to you. ( For simplification of sample calculation, I am ignoring education cess, surcharge etc., The total benefit will be higher if they are included). Next story Sensex Making New Highs – Should I be worried ?